Inadequate pain management coupled with the epidemic of prescription opioid overuse and abuse has taken a severe toll on the lives of tens of thousands of people in the United States. According to the Centers for Disease Control and Prevention (CDC), as many as one in four patients who receive prescription opioids long term for non-cancer pain in primary care settings struggles with addiction. Every day, more than 1,000 people are treated in the ER for misusing prescription opioids. Deaths involving opioids have quadrupled since 1999; in 2014 alone, more than 14,000 people died from overdoses involving the drugs. That same year, another 2 million people abused or were dependent on opioids. Beyond the risks of addiction and overdose, prescription drugs that numb pain may convince a patient that a musculoskeletal condition is less severe than it is or that it has healed. This misunderstanding can lead to overexertion and a delay in the healing process…or even permanent injury. 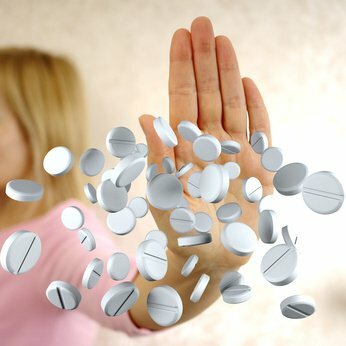 Chiropractic and other conservative (non-drug) approaches to pain management can be an important first line of defense against pain and addiction caused by the overuse of prescription opioid pain medications. There is a growing body of research that validates the effectiveness of chiropractic services, leading many respected health care organizations to recommend chiropractic and its drug-free approach to pain relief. In March 2016, the Centers for Disease Control and Prevention released guidelines for prescribing opioids that also promote non-pharmacologic alternatives for the treatment of chronic pain. In 2015, the Joint Commission, the organization that accredits more than 20,000 health care systems in the U.S., including every major hospital, recognized the value of non-drug approaches by adding chiropractic and acupuncture to its pain management standard.